For the smooth functioning & wellbeing of the whole body, one needs a healthy circulatory system. Expert masseurs of Mystic Spa Bishkek don’t massage only your body, but also your soul. Do you feel like having a truly full, deep body massage, enjoy a beautiful aromatherapy massage session or merely wish to relax with hot lava stones or experience four hands massage? Perhaps what you desire is to have a personalized massage with highly skilled and experienced therapists of Mystic Spa Bishkek. A good Massage ensures deeper breathing by blood vessels and capillaries expand, thus improving circulation and blood gains more oxygen. Improved blood circulation means that the nutrients are carried throughout the body more efficiently. At the same time heart rate slows down, the body and the brain relaxes and nerves soothe. Massage stimulates the sebaceous and sweat glands, which helps moisturize and cleanse the skin. Massage gives an exfoliating effect that makes the skin supple and fresh. Improved circulation helps to bring nutrients to the hair, nails and skin, provides revitalizing effect, relieves headaches and regulates digestion. Massage can help relieve tension throughout the body and help calm thoughts in order to bring peace of mind! Proper massage ensures healing the body simultaneously on several levels. At Mystic Spa Bishkek, you can enjoy a variety of popular Massage types by highly experienced and skilled masseurs, both male & female. This is the most common type of massage. The classic full body massage acts pleasant and calming. It is recommended to reduce muscle tension, improve circulation and pain relief. It involves a combination of gentle, long moves that rhythmically toggle in the top layers of muscle. Mystic Spa Bishkek’s Classic Full Body Relax massage is ideal to restore lost energy, and can be very useful with sports injuries. The ultimate relaxation offered by a classic massage has been proven time and again throughout the ages. By applying a basic carrier oil the highly skilled Mystic Spa-therapist is able to manipulate major muscle groups in order to release tension and leave you feeling relaxed, revived and ready to face the world again. The experts analysis came up to four distinctness moves in Classic Full body massage. That can be smooth moves for relaxing the soft tissues, strongly rolling and kneading, deep and circular movements and increase blood flow or short and alternating «tapping» with the edges of the palms. Massage by hands of an expert Mystic Spa Bishkek masseur — is always pleasure for the body. And this, special massage is for reducing the fat volumes in problem areas, to combat cellulite deposits and increasing blood and lymph flow. This manual slimming massage with oil and a special cream, improves blood circulation, stretches subcutaneous «clusters» of fat, which upset any one who faces the problem of extra fat on body. Anti-cellulite massage causes the muscles to work vigorously and to nourishes them through the extra influx of blood. Anti-Cellulite massage at Mystic Spa Bishkek is also a good prevention against stretch marks on the skin, improving its elasticity. Kyrgyz Republic produces some of the best quality honey in the world and when a highly skilled Mystic Spa Bishkek masseur massages you with this most wonderful honey, results are sheer magic. The detoxification secret of honey massage lies in the healing power of honey in combination with the effects of a ‘pumping out’ massage technique and the powerful stress-relieving reflex therapy. The healing properties of honey are combined with a compressing touch which results in the ‘pumping’ of toxins out of your body. As honey has biologically active substances, it absorbs toxins and promotes their fast removal from the body. During the massage, the reflexive zones of all internal organs are stimulated. The stimulation of these reflexive zones and the start of the detoxification process promote a strong revival of the whole body. Honey massage considerably improves blood circulation in deeper layers of the skin and so warms and tones the skin, promoting improvements in nutrition and waste removal in the skin and in all of internal organs. Vacuum massage – is the physiological non-medicamental method of body rejuvenation and health improvement; prevention and treatment of many diseases. In comparison to ordinary massage, vacuum one is able to increase in 5-10 times the microcirculation of blood and lymph in tissues, interstitial fluid, improving and restoring neural conductance and tissue nourishment. Created vacuum allows to work with deep layers of soft tissues, right up to periosteum. Vacuum massage stimulates the removal of chemical waste, clearing soft tissues from metabolic products, accumulated for many years. Blots, formed after vacuum jars effect, render on the organism exceptional medicinal effect – that’s autohemotherapy. By means of those blots one can estimate processes that are taking place in deep soft tissues. It allows to provide sufficiently accurate diagnosis. This amazing massage incorporates heated stones into the treatment and this helps to work deeper into stressed muscles, relieving tension, the heat of the basalt stones gets deep into the muscle and helps to heal. A 90 min massage is recommended for a great full body massage giving plenty of time to give all areas attention. 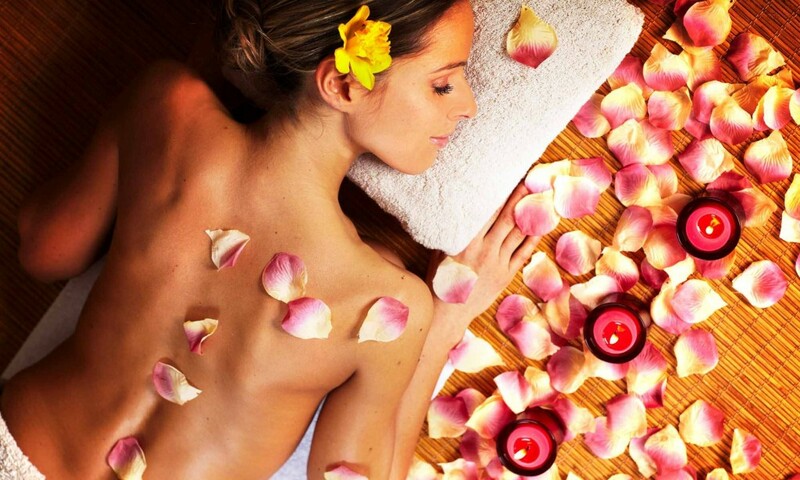 Aromatherapy uses fragrant oils extracted from herbs, flowers and fruits to naturally enhance the benefits of massage. Before each session begins, you can choose one of four unique oil blends to be used in your massage lotion. Enhance your next massage session with soothing Spa music & brilliant subtle aroma fragrances even as magical fingers of Mystic Spa Bishkek masseur work on your body and make you enjoy waves of exhilarating sensations. Amazingly wonderful massage for aches & pains, anxiety relief & great stress buster, extremely relaxing & rejuvenating. Just try one session of aromatherapy massage at Mystic Spa Bishkek and get amazed at how wonderful you feel afterwards! You will try it again! And again! Application of profound impact on neuro-muscular system. With the help of this special Back massage, beneficiary achieves- deep relaxation, relieves stress and its after-effects in the form of chronic fatigue, irritability, apathy, sleep disorders, as well as numerous symptoms of psychosomatic diseases. Is a delicate form of massage that stimulates the body’s lymphatic system, improving the metabolism, helping the body to eliminate waste and toxins and providing a boost to the immune system. Unlike some other forms of massage, lymphatic drainage utilizes a very light pressure combined with soft pumping movements in the direction of the lymph nodes. The process can take anywhere from 30 minutes with the masseur concentrating on a localized area, to two hours when working on the whole body. Lymphatic drainage massage is especially useful for individuals who seem to suffer regularly from common illnesses like colds and flu. It is also recommended for people who lead sedentary lifestyles, or those who want to reduce puffiness or swelling. It has been cited as having a positive effect on problem skin, cellulite, dysfunctional respiratory systems and people with low energy. Lymphatic drainage massage boosts the immune system so, as well as helping the body ward off illness, treatment can facilitate general feelings of health and vitality. It also has a positive physical effect, improving the appearance of the skin and reducing puffiness caused by water retention, poor circulation or pregnancy. As with other massage, it can help with pain from fractures and sprains and rheumatism, and it promotes the body’s own healing mechanisms. Lymphatic drainage massage utilises very light pressure. Sports massage therapy at Mystic Spa Bishkek is geared toward athletes of every kind, from world-class professionals to weekend joggers. The particulars of the sports massage technique are specific to the athlete’s sport of choice. Focusing on areas of the body that are overused and stressed from repetitive and often aggressive movements. Key benefit of Sports massage therapy compared to other modalities is its ability to target muscle-tendon junctions. A massage for neck area (cervical area), back & upper shoulder area with oil — health and relaxation massage that focuses on effectively treating headaches, pinched nerve & to solve various problems of spine area. Most of the body’s tension accumulates in this important part of the body as the back is our physical support system. It is a combination of Maldivian, Polynesian and Swedish technique that perfectly fits your needs. Benefits: This deep tissue massage helps to loosen tight muscles in the back shoulder and neck area leaving you with light and comforting feeling.